Our connection is with the greater northwest Ohio communities and Midwest United States. Our commitment is to leading edge technology, advanced techniques in nasal and sinus care and our dedication to our patients. Howard L. Levine, MD consultant and adviser for some of the most advanced medical companies, provides unique and effective treatments for nasal, sinus and breathing disorders. Levine is a pioneer in the development of the concept of "minimally invasive sinus surgery" and balloon sinuplasty and along with his staff, works tirelessly to provide timely, state-of-the-art and appropriate help so patients actually feel better. Nose News is Good News®! 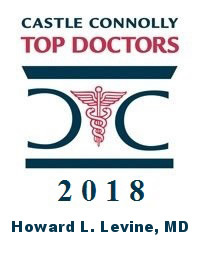 Dr. Howard Levine Honored as 2018 Castle Connolly Top Doctor! 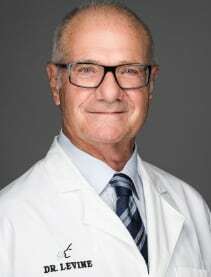 Dr. Levine is one of the pioneers in the development of advanced nasal endoscopic diagnostic techniques, functional endoscopic sinus surgery and advanced applications of radiofrequency energy for nasal and sinus disease. He is world-renowned as an expert in nasal, sinus and breathing disorders. Dr. Levine is a consultant for some of the most advanced medical companies providing unique and effective treatments for sinus and breathing disorders disease. Dr. Levine is a pioneer in the development of the concept of "minimally invasive sinus surgery" and, along with his staff, works tirelessly to provide timely, state-of-the-art and appropriate help so patients actually feel better. Dr. Levine has written and lectured on nasal endoscopic diagnostic techniques, functional endoscopic sinus surgery, and advanced applications for managing nasal and sinus disease. He also serves as a consultant to several companies that specialize in the development of pharmaceuticals and instrumentation for nasal, sinus, and breathing disorders. America's Top Doctors® is the national guide that identifies more than 6,700 top specialists throughout the U.S. in 65 medical specialties and subspecialties for the care and treatment of more than 1,600 diseases and medical conditions. These outstanding doctors represent the top 1% in the nation. Also contains detailed information about some of the nation's most outstanding major medical centers and specialty hospitals. The physician profiles are arranged by specialty or subspecialty and are organized geographically within each specialty/subspecialty. Search by disease, condition, procedure or technique by using the Special Interest Index or by name in the Alphabetical Listing of Doctors. Castle Connolly identifies top doctors based on an extensive nominations process open to ALL licensed physcians in America. The Castle Connolly physician-led research team reviews and screens all nominated physicians before selecting those regarded as the most outstanding healthcare providers to be Top Doctors. Physicians do not and cannot pay to be selected as a Castle Connolly Top Doctor. Cleveland Nasal Sinus & Sleep Center and Howard L. Levine MD have a new location! 6770 Mayfield Road, Suite 441 Cleveland, OH 44124 Telephone 440-684-9980, 800-24-SINUS (800-247-4687) Fax: 440-449-9279. Cleveland Nasal Sinus & Sleep Center is an up to date facility that will provide patients broad care in otolaryngology including audiology and hearing services. New and up to date examining rooms will permit not only the best in diagnostic techniques but also the ability to manage many nasal and sinus surgical procedures safely and efficiently in the office under local anesthesia. For many nasal and sinus sufferers, this will mean the chance to have care and return to activities immediately instead of a trip to the operating room. This new facility within the Hillcrest Medical Building Atrium, has adjacent free parking, valet parking, access from a major interstate highway, affordable accessible hotels and motels and nearby shopping centers. Balloon Sinuplasty™ technology, the FDA-cleared, endoscopic, catheter-based system for patients suffering from sinusitis, uses a small, flexible, Sinus Balloon Catheter to open up blocked sinus passageways, to restore normal sinus drainage and function and help relieve the pain and pressure of sinusitis. When the sinus balloon is inflated, it gently restructures and widens the walls of the sinus passageway while maintaining the integrity of the sinus lining. Since 2005, Howard L. Levine MD has been a major scientific contributor to the research, development and testing of Balloon Sinuplasty™ technology. Across the United States and around the world, Dr. Levine has taught numerous physicians the Balloon Sinuplasty™ technique, while he himself has performed over 1,000 cases. Sleep Apnea is the stoppage of breathing while sleeping. Sleep apnea causes daytime fatigue and daytime sleepiness. This can lead to poor productivity at work, school or home. In addition to interrupted sleep and daytime fatigue, sleep apnea can lead to major health problems like heart disease, high blood pressure and stroke. Sleep apnea is often noticed by a bed partner who observes snoring and/or stoppage of breathing while sleeping. Disruptive snoring also can contribute to conflict and stress for both sleep partners. Sleep apnea is frequently caused by blockage in the nose or throat. Mild to moderate obstructive sleep apnea with or without snoring can be successfully treated with surgery. Howard L. Levine MD is one of the pioneers in the development of advanced nasal endoscopic diagnostic techniques, functional endoscopic sinus surgery and advanced applications of radiofrequency energy for nasal and sinus disease. Listed in The Best Doctors in America and Top Doctors in Cleveland, Dr. Levine is world-renowned as an expert in nasal and sinus disorders. Dr. Levine, is a past national president of the American Rhinologic Society (ARS), the world’s largest organization in nasal and sinus disorders. 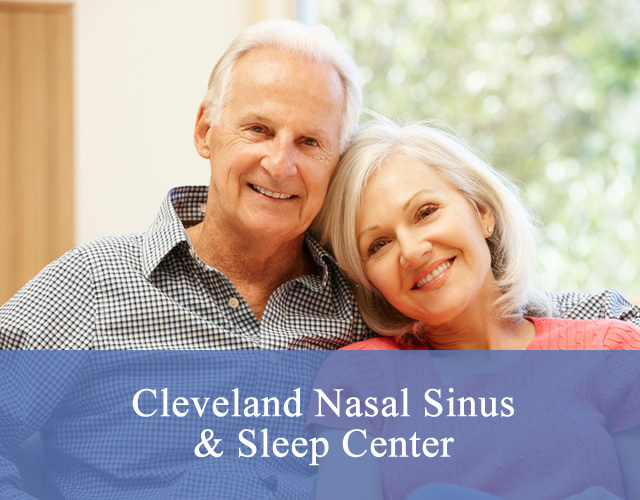 The cornerstone of Cleveland Nasal Sinus & Sleep Center is our connection to the “latest and greatest” technology that provides to our patients the best outcomes with the least trauma. Howard L. Levine MD is and has been a consultant and primary investigator for several ear, nose and throat medical device companies. Cleveland Nasal Sinus & Sleep Center has a new location! © ENT Otolaryngology Website Design & Medical Website Design | Websites for Doctors by Vital Element, Inc.